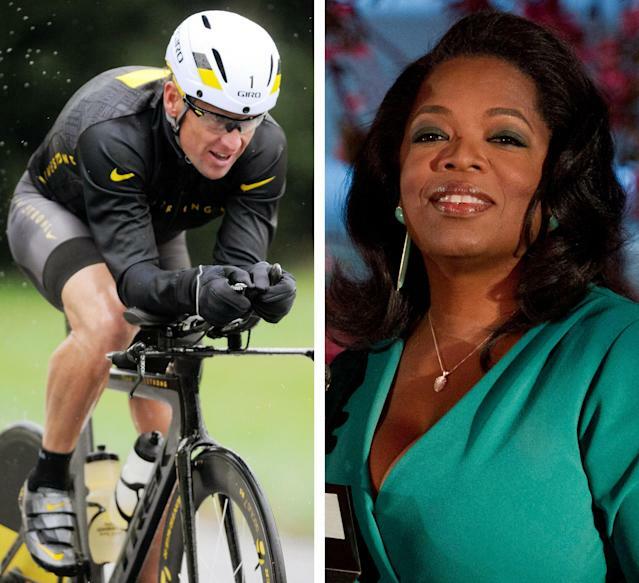 Lance Armstrong confessed to Oprah Winfrey during an interview Monday that he used performance-enhancing drugs to win the Tour de France, according to the Associated Press. Excluding the most devout Lance believers, this isn't exactly a revelation. 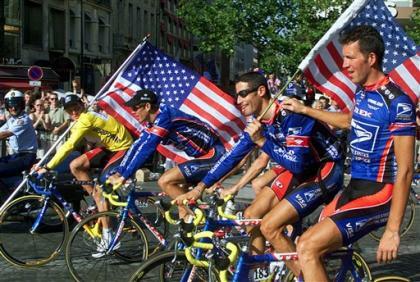 Dozens of former teammates, support staff and competitors already have detailed Armstrong's use. The United States Anti-Doping Agency released a 1,000-page report that was staggering in its detail proving it. There have been books and investigative reports and on-the-record accusations. Armstrong has been stripped of his titles, dumped by most of his sponsors and banned from competition. And, of course, there is the fact that he competed in a sport overwhelmed by PED use, making his years of asserting his purity all the more ridiculous. That would mean the clean rider beat all the dirty ones. The drugs, after all, are called "performance enhancing" for a reason. We'll see what Lance does and doesn't cop to and who he does and doesn't apologize to when his sit-down with Oprah is televised (Thursday and Friday at 9 p.m. Eastern and Pacific on OWN, the Oprah Winfrey Network), but here's the thing: Lance Armstrong doesn't really owe much to most of us. His fans who were duped into cheering for the fairy tale? Get over yourself. You were rooting for a guy to ride his bike really fast around France, you weren't conned out of your house. And really, you willingly suspended belief. This is on you as much as him. The sport of cycling itself? Well, that endeavor has proven nearly corrupt to the core. If anything, those races Armstrong won were on a fairly level playing field – a dirty one, but level nonetheless. Cycling is a great sport, but this is an unavoidable byproduct. 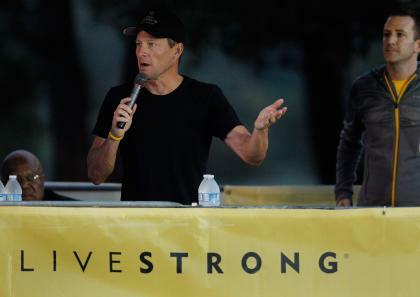 The people who donated to Livestrong under the illusion that this was 100-percent real? So what? The money still went to a good cause. It wasn't stolen for some nefarious purpose. You really aren't the victim. In the end, Armstrong did far more good for the world – particularly in the cancer wards where inspiration is so desperately needed – than bad. He rides a bicycle. He didn't kill anyone. He did, however, try to destroy some people – their finances, their businesses, their reputations, their names. These are the victims of Lance Armstrong, and the only hope is that Winfrey didn't just let Lance brush aside the truly aggrieved parties or the obvious questions. Armstrong isn't necessarily a bad guy for doping. He is a bad guy for the way he used his immense power, fame and fortune to attempt to ruin anyone who dared to speak the truth to his avalanche of lies. That was some punk behavior. 1. Why now, Lance? Is it because in one potential perjury case the statute of limitations has passed? Is it because you've already lost almost all your sponsors, had to step back from your foundation and are no longer getting the attention you once earned? Did you have to lose nearly everything until you sought the only possible out? And at this point, why are you worth listening to at all? 2. Why are you doing this with me, Oprah Winfrey? I'm not known for my cycling knowledge or for pointed follow-up questions or my investigative journalistic skills. In fact, it's the opposite. Wouldn't sitting down with Scott Pelley at "60 Minutes" have been a more legitimate forum? How about the Sunday Times of London, which you sued for libel for printing the truth? Or any of the French or American media that you bashed all along when in fact they weren't wrong at all? You always fashioned yourself as a tough guy, Lance. You beat cancer for crying out loud, why go soft now? 3. Let's talk Betsy Andreu, the wife of one your former teammates, Frankie. Both Andreus testified under oath that they were in a hospital room in 1996 when you admitted to a doctor to using EPO, HGH and steroids. You responded by calling them "vindictive, bitter, vengeful and jealous." And that's the stuff we can say on TV. Would you now label them as "honest"? "I hope somebody breaks a baseball bat over your head. I also hope that one day you have adversity in your life and you have some type of tragedy that will … definitely make an impact on you." When you heard about that voicemail, why didn't you call Betsy and apologize then? 4. By the way, did you take performance-enhancing drugs prior to your diagnosis of testicular cancer, as Betsy Andreu, who I now have every single reason to believe, says you admitted to doing? Do you think it played a role in your diagnosis? And while the reason you contracted cancer does nothing to diminish the intensity of your battle, or the great example of strength it provided, don't you think it would've been an essential part of your public campaign against the disease to mention that you used performance-enhancing drugs? 5. Just to get it on the record, because the way things are going I'm pretty sure this will come out at a later date, did you or your minions ever pressure federal authorities to stall out investigations into your doping? Now, you wouldn't lie to me, right, Lance? 6. What do you say to Emma O'Reilly, who was a young Dublin native when she was first hired by the U.S. Postal team to give massages to the riders after races? In the early 2000s, she told stories of rampant doping and how she was used to transport the drugs across international borders. In the USADA report, she testified that you tried to "make my life hell." Her story was true, Lance, wasn't it? And you knew it was true. Yet despite knowing it was true, you, a famous multimillionaire superstar, used high-priced lawyers to sue this simple woman for more money than she was worth in England, where slander laws favor the famous. She had no chance to fight it. She testified that you tried to ruin her by spreading word that she was a prostitute with a heavy drinking problem. "The traumatizing part," she once told the New York Times, "was dealing with telling the truth." Do you want to apologize to her? Not in general. I mean directly and by name. I mean, Lance, of all the people to attack like that, of all the people you had power and wealth over, you had to go after her? How Lance, could you do this to someone, and why would anyone want to believe again in someone capable of doing this to someone? 7. In 2011, former teammate Tyler Hamilton spoke about you and doping on "60 Minutes." He later said you two ran into each other in a Colorado restaurant where he says you tried to intimidate him, saying, "I'm going to make your life a living hell both in the courtroom and out of the courtroom." Yet you knew he was telling the truth, right Lance? So why threaten him? 8. Greg LeMond, a three-time Tour de France champion, once raised the following hypothetical question: "If Lance's story is true, it's the greatest comeback in the history of sport. If it's not, it's the greatest fraud." The allegation is that you heard that and decided to use your influence with Trek bikes to drop its association with LeMond's brand. The company even went to court to end a long-term contract. "Greg's public comments hurt the LeMond brand and the Trek brand," a company official said at the time. What comment? Wondering about something that was true? The move cost LeMond millions. Did you try to ruin him financially simply for spite? 9. We've just scratched the surface on people you pushed around. There are more victims in your wake. Do you want me to continue with the others?